I hope and pray that all of you are doing well, Insha Allah. Today we had a wonderful day alhamdulillah!! Guided Reading: I worked with one group while Tr. Naaz spent time with the rest of the class working on different reading programs. Art: Students are working on a day and night painting. Math: Please complete the home connection portion page 259 and complete the pages. No school on Monday inshaAllah. Homework is due on Tuesday. The spelling test will be on Tuesday as well. 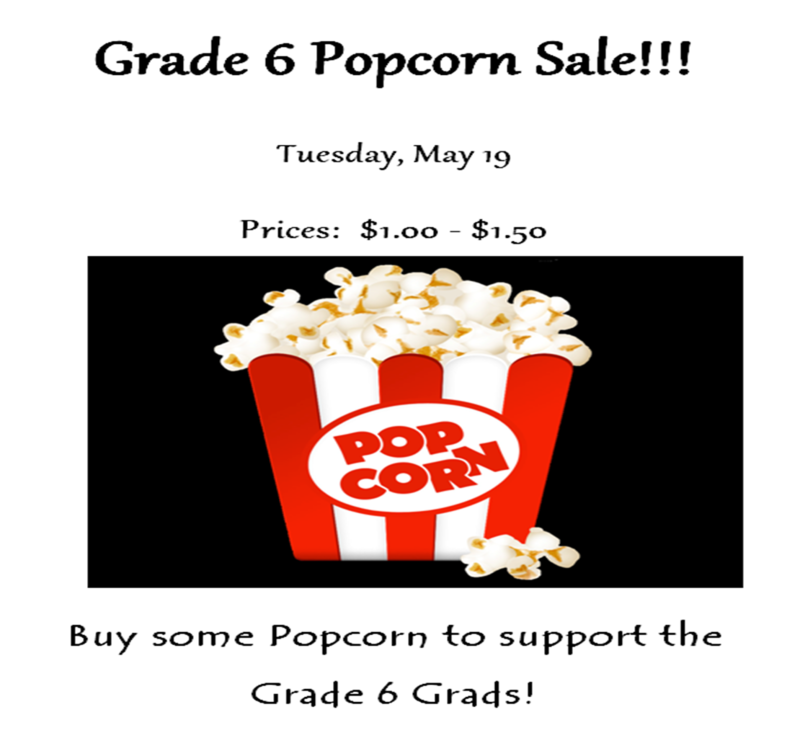 The grade 6 will be having a Popcorn sale on Tuesday Insha Allah. Have a great long weekend!!!! !